TN Cabinet meeting on December 24! Sri Ramachandra Murthy December 22, 2018 12:31 IST TN Cabinet meeting on December 24! 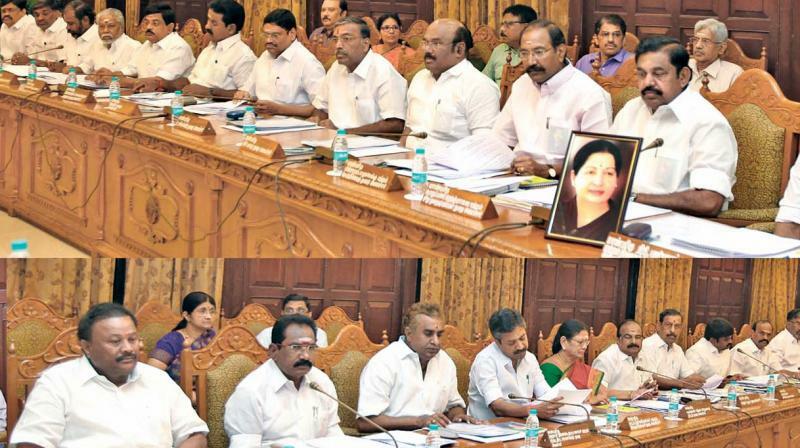 The Tamilnadu cabinet meeting, to be presided by Chief Minister Edappadi Palanisamy, has been planned to be held on December 24, by 12 pm.Tamilnadu has been currently facing various issues that are becoming serious, like Sterlite copper plant, mega Dadu dam, and with the opposition parties blaming the ruling government on its effective functioning. Opposition leader, the DMK president MK Stalin had said that the TN government's functioning in this aspect has to be condemned, and various political leaders have been accusing the TN government of its inefficiency. In such a scenario, news has spread that the TN Cabinet ministers will be joining an urgent meeting convened by the Tamilnadu chief minister Edappadi Palanisamy, which will be held on December 24, by 12 pm, and that in this meeting, the ministers will discuss on burning issues like the reopening of Sterlite copper plant and the protests in Thoothukudi, the Mega Dadu dam construction issues, and various issues, and decisions will be taken.